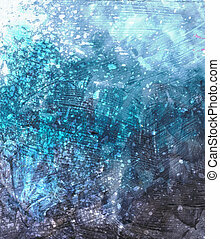 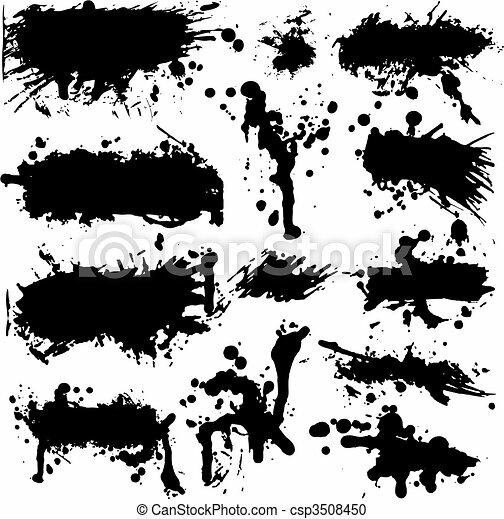 Vector grunge ink splatter collection. 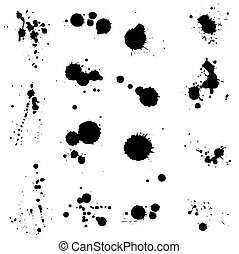 Set of multiple ink blotches, splatter design elements, and splatter banner backgrounds in vector format. 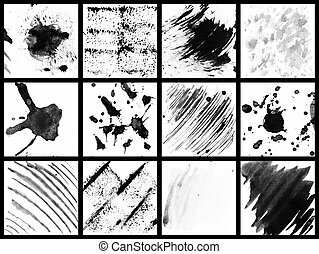 A variety of real India ink splotches and splatters on paper. 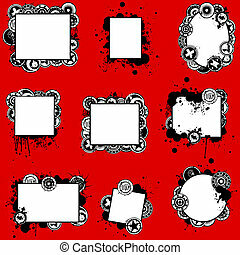 These make great art elements. 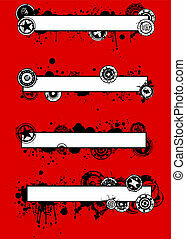 Unlike vector format so there is more texture and detail. 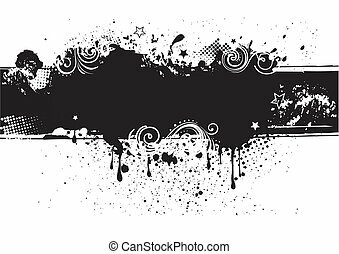 A collection of four highly detailed grunge splatter banner design elements in vector format. 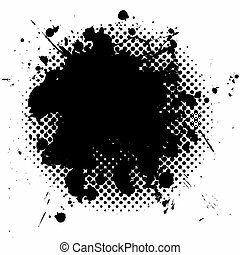 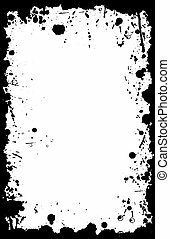 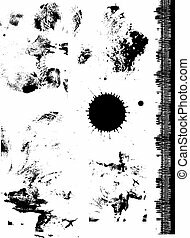 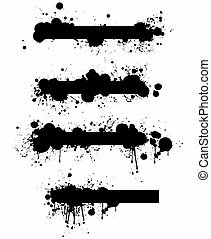 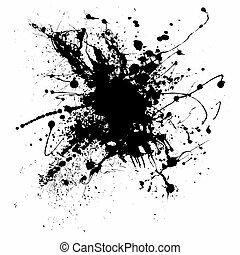 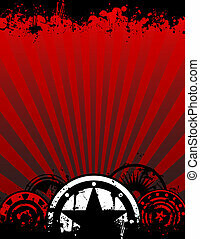 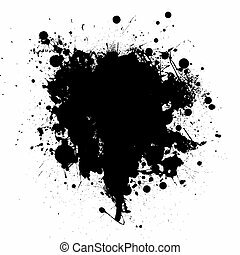 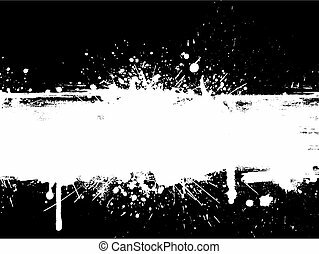 A vector border in grunge style with stains and ink splats in an 11X17 aspect format. 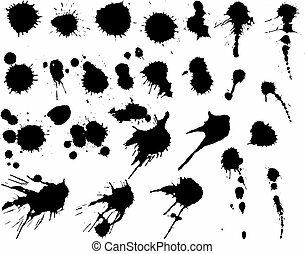 A vector collection of fifteen different ink splatters, blots, blotches and drips graphic design elements. 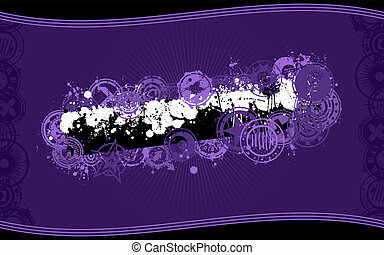 A vector background design in purple color scheme and standard wide-screen aspect ratio in grunge illustration style with a central splatter banner graphic and space for your copy. 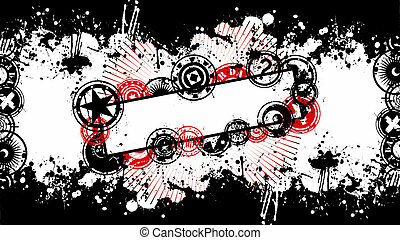 A vector background design with red and black color scheme and standard wide-screen aspect ratio in grunge illustration style with a central splatter banner graphic and space for your copy. 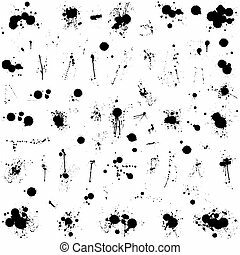 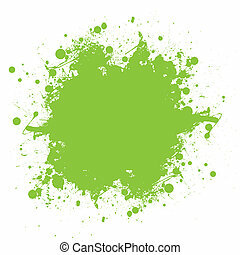 A large collection of unique, original and highly detailed splats, drips, drops and sprays in vector format. 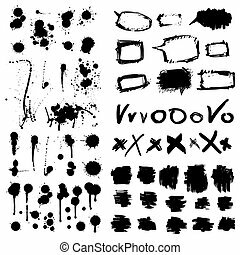 A vector set of detailed grunge style brushes, symbols or stamps illustrations. 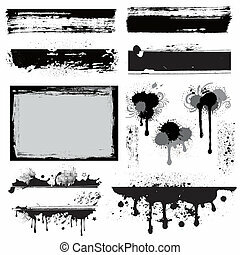 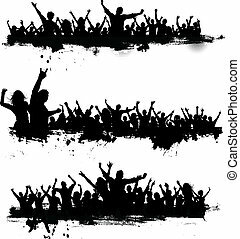 A collection of three grunge, splatter banner graphics with a square format grunge vector border. 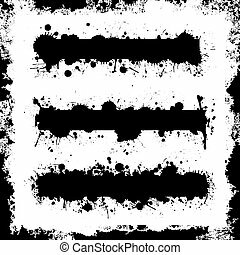 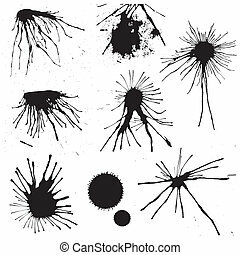 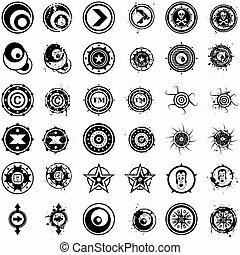 A set of highly detailed, high resolution vector brushes or rubber stamp type decals or emblems in a grunge illustration style. 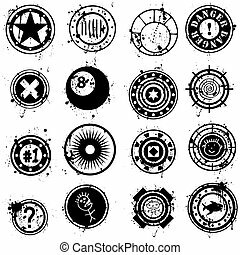 A collection of four unique, hand-drawn grunge style vector banners with splatters and various artistic grunge buttons. 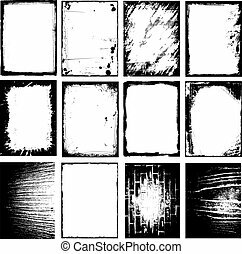 A collection of nine unique, hand-drawn grunge style vector frames or display cards with splatters and various artistic grunge buttons. 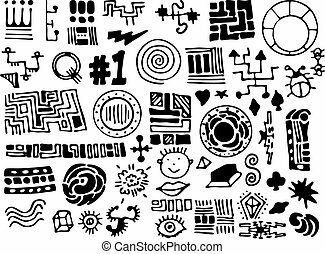 A collection of unique, hand-drawn design elements in vector format. 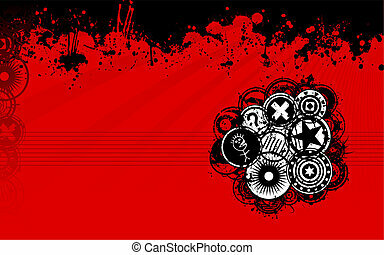 A unique grunge vector background image with splatters and grunge discs in a standard widescreen display format perfect as a web background image. 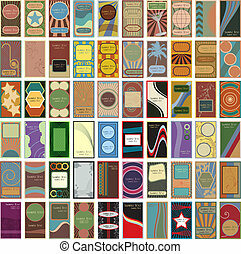 A collection of 60 retro business cards or calling cards in the style of 1930s and 1940s era bubble gum trading cards in vector format.